Most social skills programs for kids with Aspergers fall into one of two theoretical frameworks: (1) behavioral and (2) developmental. CLICK HERE for an example of a Behavioral Intervention Plan. 2. The developmental approach involves assessing each developmental area (e.g., motor, cognition, communication, social development, etc.) and using the youngster’s successes, emerging skills, and failures to determine his or her area of development. This area indicates the set of skills that the youngster appears to be ready to learn next, based on his or her assessed performance. Those skills are then targeted for teaching. Goals for specific social skills identified in interactions with adults may focus on early prelinguistic behaviors (e.g., joint attention, turn taking, imitation, responding by gaze to adult initiations, initiating social interactions with adults, etc.). These interactions occur within a play context, so establishing and supporting “toy play” with an grown-up may be a goal for Aspergers kids. As these young people grow older, interactions with adults may more often occur in classroom contexts. Although such classroom-based interactions may also occur in a play context, the nature of adult-child interactions will extend to behaviors necessary for functioning independently in the classroom. Social skills (e.g., responding to teacher directions, independently participating in the routines of the classroom, expressing needs to teachers, requesting assistance of the teacher, etc.) all become important functional skills necessary for Aspergers kids to be successful in classroom settings. Since communication is the process by which individuals carry out social relationships, the Aspergers child’s communication skills are a big part of social development. Developing social goals and objectives needs to be conducted alongside developing communication goals and objectives. Therefore, assessing communication skills and needs, and making sure that teaching strategies for communication are integrated with social teaching strategies, are critical for developing skills that are functional for the youngster. Play, like communication, is an important social activity in childhood. Play skills, like communication, must be assessed and considered within the social context. Development of more mature play skills in both independent play and social play is important for the social development and peer-interaction of kids with Aspergers, since play is the glue that holds together peer-interactions in childhood. Assessing an Aspergers youngster’s actual behaviors toward other kids (e.g., initiations, responses, interest in others, level of social play, etc.) provides an important baseline against which to measure the degree to which interventions are having valid effects. 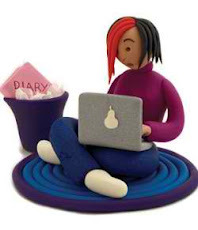 This assessment, when paired with information about priorities, parents’ concerns, skills needed to be successful in the current educational settings, and skills needed to be successful in the next educational setting, can serve as a basis for selecting functional social outcomes that parents and teachers can select for young people with Aspergers. Mark, This is another of your excellent works! HAPPY NEW YEAR TO YOU AND YOURS. Keep up the good work... there's nothing out there like yours! 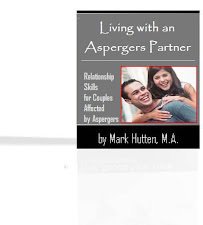 Hi Mark, I bought your ebook on aspies and relationships. It is good. I have only read some of it, but of all the asperger relationship books I've read, yours is definitely the best. Kids with Aspergers (AS) and High-Functioning Autism (HFA) demonstrate widely differing levels of skills and severity of symptoms. These children demonstrate impairments in relationships to peers, the use of nonverbal communicative behaviors within their social exchanges, the use of imitation, and symbolic or dramatic play. Social interactions are characterized by low rates of both initiation and response. This is most marked in interactions for the purpose of sharing experiences and establishing interpersonal connection. The use of nonverbal communication (e.g., gestures, emotional expressions) is affected in AS/HFA kids, both expressively and receptively. These children use fewer nonverbal gestures and a more limited range of facial expressions in their communications than neurotypical (non-autistic) kids. Kids with AS/HFA appear to pay less attention to other’s emotional displays, and they tend to demonstrate fewer acts of empathy or shared emotion. 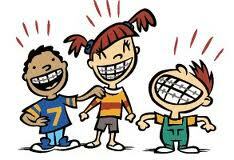 Kids with AS/HFA also demonstrate less imitation of other’s actions, movements, and vocalizations. There are wide-ranging differences in the levels of play skills seen in kids with AS/HFA. However, functional play and other “object play” are not impaired relative to neurotypical children. 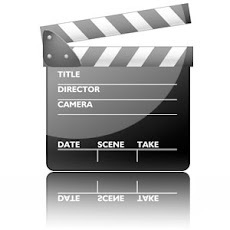 Only the production of “symbolic play acts” is markedly deficient. Sensorimotor play also appears to be affected, with more repetitive and immature play seen in kids with AS/HFA. Given the importance of symbolic play for normal development, this is an important target of early intervention for AS/HFA kids. The descriptions of these groups imply developmental differences, IQ scores, language levels, and patterns of brain function. The descriptions also imply differences in context (e.g., a youngster may be detached from friends, but passively responsive to grown-ups) as well as differences in temperament and amount of negative behavior displayed in social interactions. Characterizing the patterns in this way is useful to parents, teachers and therapists, because it helps to focus interventions and set priorities. • Anonymous said... My aspergers son is closest to 1, craves company and social situations. He becomes obsessed with games and collecting the latest craze to ensure he can not be left out conversations. Being left out of something is taken as a huge personal insult. If a group of friends go somewhere together without him even something as simple as the park or swimming pool, it can trigger a full on melt down. Yet he can really struggle to grasp the social interactions. If he is with us and close friends he can show his stress but if with less well known people he will hold it in and explode at home for hours, recalling it for days, weeks and sometimes even years. It's very hard because people do not see that he's holding it in, they just see an 'ordinary' child who can speak a little 'old fashioned' at times or get a little pushy and shouty. They don't seem to notice the twitching, worry or anger in his voice when he's stressed. Wouldn't change him for all the world though. 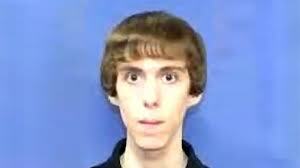 "Why Did Adam Lanza Murder Innocent Children?" There are two answers to this question: (1) we will never know what triggered Adam to do such a horrific act (i.e., the straw that broke the camel’s back), and (2) there were multiple factors involved. Studies on violent crime committed by young people have increased our understanding of factors that make some populations more vulnerable to perpetration. 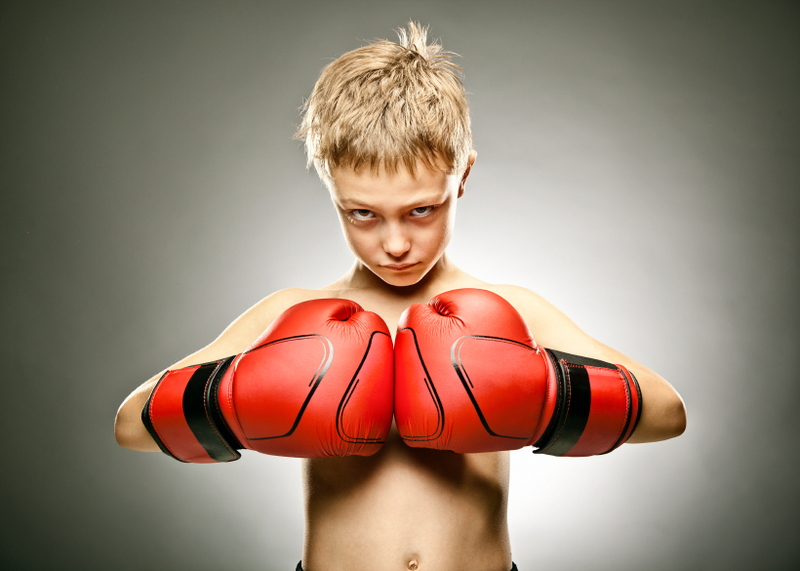 Risk factors increase the likelihood that a young man (or woman) will become violent. However, risk factors are NOT direct causes of violent crime; rather, risk factors contribute to violent crime. So, as much as we want to get to the bottom of why this “senseless” shooting occurred, we will have to settle for the fact that there is no single answer to explain such a tragedy as the one that occurred on 12/14/12. People are looking for "the" reason why this happened (e.g., mental illness), which is unfortunate, because then they will also go looking for "the" answer (e.g., gun control). But there is no one reason - or answer. This is a complex, multifaceted problem that calls for comprehensive, intricate problem-solving. I believe that we, as a society, have now begun the process of doing the tough investigative work that needs to be done in order to save many more lives than we lost at Sandy Hook Elementary School. Most often, it takes the occurrence of a tragic event before we awaken from our slumber and begin the process of change. We may have lost 20 of our children on 12/14/12, but maybe because of them, we will end up saving more precious lives in the future than would be possible had this incident not occurred. FOOTNOTE: The authors of the earliest known review of the link between Aspergers and violence concluded that no such connection exists. In a more recent review, the determination was that the link is inconclusive and is supported by only 11 of 147 studies on Aspergers and violence when the strictest inclusion criteria are used. There is someone who spends almost as much time with your child as you do. But, this person may not understand your child’s disorder and related symptoms. Also, this person may not pick up on subtle signs and signals that a particular child is becoming “troubled.” This person is your child’s teacher. 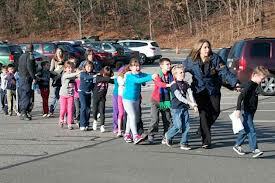 Make no mistake: I’m not blaming teachers for what happened on 12/14/12 (i.e., the Adam Lanza tragedy). But I strongly believe that one of the most important resources that we have to see to it that nothing like 12/14 ever happens again is our teachers. Even though there is growing awareness about autism spectrum disorders in the educational system, much misinformation and lack of information still exists. And this is where you, the parent, can help. It is hoped that they will print dozens of copies and disseminate throughout your entire local school system. If you child's teachers have any questions about this offer, please let them know they can email me personally (Mark Hutten, M.A. ==> mbhutten@gmail.com). If a student with Aspergers or High Functioning Autism is going to deteriorate, this change for the worse usually begins when he or she enters the public school system. So in many ways, our first line of defense against having a “functional” child turn into a “troubled” child is our teachers. They must learn about this disorder and know how to deal effectively with the affected student in the classroom! Thank you. How generous and kind of you. Truly, i appreciate what you are doing and am touched by your action to reach out and help. Like you, i hope i can help to educate others more about aspergers so that life is a little more manageable for them and so they can learn the skills to overcome challenges, be healthy emotionally, and live a happy and fulfilled life. I am a former elementary school principal and, sadly, aware of how poorly equipped many educators are to deal with such a diverse learner. There are great teachers out there who havent been trained enough. Its hard with the large numbers and demands of other responsibilities. I do understand this, but we have an urgent responsibility and duty to NOT let these students fall through the cracks. My daughter, an aspie, frequently goes unnoticed. She is quiet, well behaved, etc, but the inner, hidden frustration is so very great as she struggles with academics, feeling overwhelmed, not understanding so many things that other students learn naturally just by being immersed in the context and by observation alone. No one really sees this on the surface. Another thing that saddens me is the lack of emotional support for all students. Counselors are usually only part time and overloaded. The good ones intervene with students alone and in groups but others work traditionally with whole group classroom lessons and nice but unnecessary schoolwide activities. (the "feel-good stuff!) We need to use our resources, especially our wonderful mental health counselors, more wisely and prioritize our needs. We need funding and involvement that crosses the great divide btwn school and the outside community. Our efforts are oftentimes so disjointed. 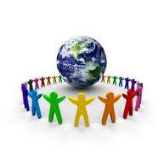 Just think of what we could do if everyone worked together - psychiatrists, schools, churches maybe, Psychologists, etc. Again, i thank you. You are helping a lot of people and the knowledge gained from you will just continue to grow exponentially as it is applied to and shared with others. As always, your article/link/mission, both timely and helpful. Sincerest thanks and spreading the good word. • Anonymous said... And this is why I homeschool! • Anonymous said... Hence why school never worked. So, learning at home and in the community it is. And it is wonderful. • Anonymous said... Home school all the way! It's not worth putting my son thru the torment of public school. I'll keep him at home to educate him & know what's going on. There fore he won't be bullied be other students & even some teachers. • Anonymous said... Home schooling was the best decision we made. I feel so bad for my son cause of what the school put him thru. Made him feel like something is wrong with him shame on them!!! • Anonymous said... just reminds me once again why I made the decision to home education my high functioning teenage daughter - one year in secondary school did enough damage that has taken us 9 months to slowly get her to recover from. • Anonymous said... Until schools get rid of tenure and can fire bad teachers, our students will suffer (a former teacher who saw too many bad eggs). 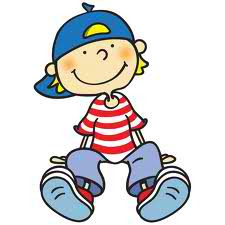 Luckily our school staff is wonderful, helps him learn social skills and use resources to stop the bullying. But it is still a game of wills if I want to switch teachers mid-year. Luckily he is on the staff's radar. Moms and dads with children on the spectrum understandably want to know how their kids will cope in the future. However, Autism Spectrum Disorders (ASD) occur across a wide range of strengths and weaknesses, so making an accurate prognosis is difficult, particularly at a young age. Even though the range of outcomes for kids on the spectrum is so broad, the possibility of relatively normal functioning in adolescence and adulthood offers hope to many moms and dads of kids with ASD. The possibility of permanent “recovery” from ASD (in the sense of eventual attainment of social and cognitive skills) has been raised in association with a number of educational and treatment programs. Studies have revealed that there are some kids who have symptoms of ASD in early preschool years who do not have these symptoms in any obvious form in later years. Whether these improvements reflect (a) developmental pathways of very mildly affected kids, or (b) changes in developmental pathways in response to treatment, is not known. The “core deficits” in ASD have generally been found to persist in some degree in most people on the spectrum. Although there is evidence that interventions lead to improvements, and that some ASD kids shift specific diagnoses within the spectrum, there is not a direct relationship between any particular intervention and recovery from ASD. Because there is always room for hope, recovery will often be a goal for many young people with ASD, but in terms of planning services and programs, educational objectives must describe specific behaviors to be acquired or changed. A large body of single-subject research has demonstrated that many ASD kids make substantial progress in response to specific intervention techniques in relatively short time periods (e.g., several months). These gains occur in many specific areas (e.g., social skills, nonverbal communication, reductions of challenging behaviors, etc.). Often the most rapid gains involve increasing the frequency of a behavior already in the youngster’s repertoire, but not used as broadly as possible (e.g., making eye contact). In single-subject reports, changes in some form are almost always documented within weeks after the intervention has begun. Many treatment studies report post-intervention placement as an outcome measure. Successful participation in regular education classrooms is an important goal for many kids with ASD. However, its usefulness as an outcome measure is limited because placement may be related to many variables other than the characteristics of the youngster (e.g., prevailing trends in inclusion, availability of other services, the parent’s preferences, etc.). The most commonly reported outcome measure in group treatment studies of kids with ASD have been IQ scores. Studies have reported substantial changes in IQ scores in a surprisingly large number of kids in intervention studies and in longitudinal studies in which kids received nonspecific interventions. However, even in the treatment studies that have shown the largest gains, the youngsters’ outcomes have been variable, with some making great progress and others showing small gains. Overall, while much evidence suggests that education and treatment can help ASD kids attain short-term goals in targeted areas, gaps remain in addressing larger questions of the relationship between particular techniques and both general and specific changes. In recent years, there has been a marked increase in the percentage of ASD kids who can attend school in a typical classroom and go on to live independently in community settings. While it is more likely that a higher-functioning youngster will progress faster and further than a lower-functioning one, every son or daughter with ASD grows and progresses. Many ASD kids far exceed doctors' expectations, and a significant percentage of these children actually lose their official ASD diagnosis. Some improve slowly and to a limited degree, while others improve quickly at first and then seem to hit a plateau, or develop issues (e.g., a mood disorder) which inhibit ongoing improvement. Also, there is no "window of opportunity" for growth and development. Kids with ASD don't suddenly stop progressing at a particular age. In fact, even grown-ups on the spectrum can benefit significantly from behavioral therapy, speech therapy and occupational therapy. Kids with High-Functioning Autism may see a lessening of symptoms as they mature, and up to 20% may no longer meet the diagnostic criteria as grown-ups (although social and communication difficulties may persist). People with High-Functioning Autism appear to have normal life expectancy, but have an increased prevalence of comorbid conditions (e.g., major depressive disorder, anxiety disorder) that may significantly affect prognosis. Although social impairment is life-long, the outcome is generally more positive than with people on the lower end of the spectrum. Although most children with High-Functioning Autism have average mathematical ability and test slightly worse in mathematics than in general intelligence, some are gifted in mathematics. 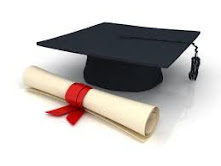 Although many attend regular education classes, some may utilize special education services because of their social and behavioral difficulties. 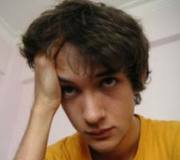 Teens with High-Functioning Autism may exhibit ongoing difficulty with self-care or organization, and disturbances in social and romantic relationships. Despite high cognitive potential, some young people with High-Functioning Autism remain at home, although most do marry and work independently. The "being different" that these teens experience can be troubling. Anxiety may stem from preoccupation over possible violations of routines and rituals (e.g., being placed in a situation without a clear schedule or expectations, concern with failing in social encounters, etc. ), and the resulting stress may manifest as inattention, withdrawal, obsessions, hyperactivity, and aggressive or oppositional behavior. Depression is often the result of chronic frustration from repeated failure to engage others socially. Research suggests the rate of suicide may be higher among those with High-Functioning Autism. All kids on the spectrum have different strengths and weaknesses compared to “typically developing” kids. For example, even if your son or daughter never learns to write in cursive, he may have impressive technical skills. In any event, age at intervention has a direct impact on outcome. The earlier a youngster is treated, the better the prognosis will be. So what can parents expect to happen when their child with High-Functioning Autism (Asperger’s Syndrome) becomes an adult? 1. Grown-ups with High-Functioning Autism are a minority among the ASD community, making up just a small percentage of those diagnosed with ASD. Since their numbers are so small in relation to the ASD community as a whole, the resources and information relevant to grown-ups with High-Functioning Autism can be much less prevalent than those geared towards kids, teens and adults with more severe forms of ASD. In addition, some grown-ups with High-Functioning Autism feel their struggles discounted by many in the ASD community as being insignificant compared to the hardships faced by those more profoundly challenged. These factors and others combine to make many with High-Functioning Autism feel isolated from the ASD community, their concerns and struggles marginalized by the majority. 2. ASD awareness has risen dramatically over recent years, resulting in more information and resources available to address the needs of the ASD community. 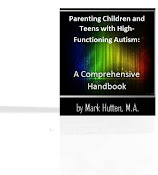 Kids with High-Functioning Autism certainly benefit from these resources, with access to necessary intervention services from infancy and throughout the schooling years. On the other hand, grown-ups with High-Functioning Autism can fall between the cracks of today's safety net of ASD resources and services, their symptoms seen as too mild to qualify them for the support received by more severely affected individuals. 3. Even the most mildly affected among people with ASD face challenges in managing their condition. For example, those with High-Functioning Autism are statistically more prone to depression than the average guy or gal, and low self-esteem and loneliness are common problems. Affordable resources to address these issues can be hard to find, especially in grown-ups for whom these issues have made keeping a job difficult. Added to that is the fact that less severe symptoms can make applications for medical and psychological assistance less likely to be approved. 4. Grown-ups with High-Functioning Autism face the unique challenge of straddling the fence between the ASD community and the community at large, often feeling as if they don't quite fit in with either. The term High-Functioning Autism is used to describe people who meet the criteria for a diagnosis on the spectrum, but show no cognitive delays, and are able to speak, read and write, as well as have IQ scores of average or above. Those with High-Functioning Autism do suffer difficulties in communication, language, and social interaction typical of Autistic Disorder, as well as repetitive behaviors and narrow interests associated with the condition. Abstract language concepts, (e.g., irony and humor) may well be beyond the comprehension of adults with High-Functioning Autism. 5. Many individuals with High-Functioning Autism are able to blend into society as well as anyone, learning to manage their condition to build successful and independent lives. Many find their niche in society quite nicely, with satisfying careers, successful marriages, fulfilling friendships, and active social lives. To the average person, untrained in the subtleties of ASD, these high-functioning individuals may not seem as if they have any autistic traits, sparing them the assumptions and prejudices faced by those with symptoms that are more obvious. Others have more difficulty establishing themselves, finding that their challenges in social awareness and communication create issues that can make independent living difficult. Often, people with High-Functioning Autism are misunderstood by those who lack experience with ASD, and their lack of social awareness and interaction may be construed as rude behavior. 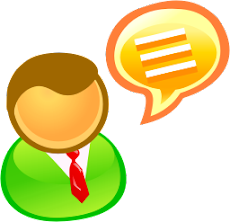 Symptoms (e.g., inability to maintain eye contact during conversation) can make job interviews and establishing friendships difficult, as some individuals often misinterpret the behavior as dishonesty or a lack of interest. 6. Many grown-ups with High-Functioning Autism face an uphill battle in establishing lasting personal relationships, facing the same misconceptions in personal friendships as in workplace ones. Actions that result from a lack of understanding of non-verbal cues (e.g., body language, facial expression, etc.) 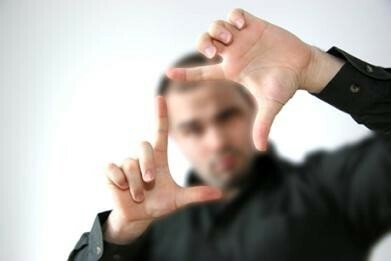 can leave people with the impression that adults with High-Functioning Autism are self-absorbed and selfish. 7. Steady employment can be a challenge to some high-functioning individuals. While workers with High-Functioning Autism are very often extremely bright, focused, and talented employees, the social aspects of the workplace can be their undoing. Workplace camaraderie can be unfamiliar territory for those with social interaction difficulties, the small talk and humor beyond their grasp. Co-workers who are not aware of the difficulties faced by those with High-Functioning Autism may see them as odd due to behavioral symptoms, or too serious, aloof, or arrogant because of the social awkwardness that accompanies the condition. These misunderstandings can breed resentments among co-workers, causing dismissals by employers in order to keep peace in the workplace. 8. While ASD research and management has improved by leaps and bounds over recent years, many of the difficulties faced every day by people with High-Functioning Autism make it clear that much more work lies ahead. Both in the ASD community and in mainstream society, lack of education and misunderstandings abound, leaving many of those affected by High-Functioning Autism feeling stranded, with one foot planted in each world – but truly at home in none.